Rafik was only 27 days old when he was injured in the war in Syria. He was asleep in his cot when a nearby explosion shattered the windows in his room, sent shrapnel flying, and the room he was asleep in caught fire. 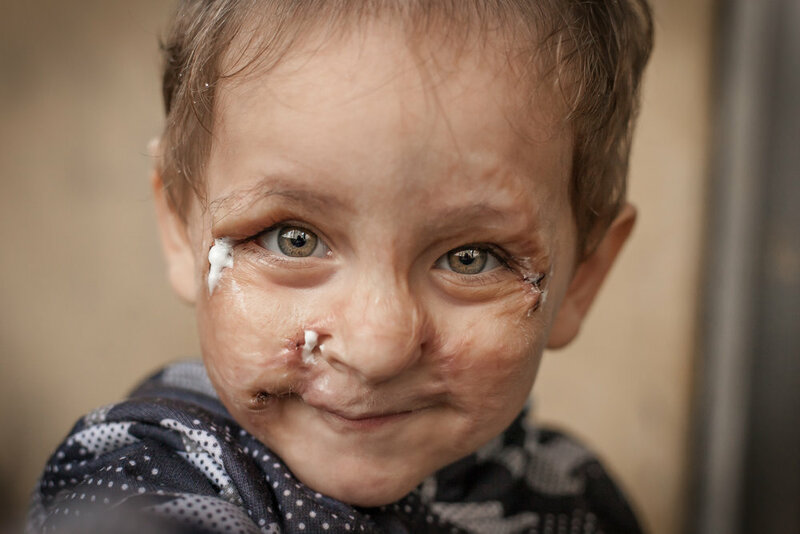 The scarring on Rafik’s face is so tight that he struggles to close his eyes or open and close his mouth. When we introduced him to our team of doctors at the American University of Beirut Medical Center (AUBMC), they said that he will need a scar release surgery on his face. In one surgery, they will ease the scarring on his nose, lip, and eye to ensure he isn’t in as much pain. They said that after this, when he turns four, he may need further treatment.